Jamyang Norbu has done it again. A bit unlike his previous conventional vilification, this time he appeared to have disguised it in a more sophisticated and covert way, yet much more maliciously. However, he still has acted as a guilty person who gives himself away by consciously protesting his innocence (རྐུན་མའི་གདོང་ན་གནོང་ཞིག་ཡོད་ཟེར་བ་བཞིན). Profoundly awakening that launching a wage on His Holiness the Dalai Lama at first hand would throw himself into a sorry plight, he is more circumspect this time about how to redirect and reshape his tactics to attack His Holiness. Having cited the subject of “democracy” as his weapon, a theme seemingly reasonable, but of course the very intention of a drunkard does not lie on the wine, but on the other purpose, here it seemed to me that he has played a role of a murderer, who kills without shedding blood, if speaking more accurately. Apart from this, in reference to Mr Speaker, in Jamyang Norbu’s words, “Presumably in a bid to obtain public support of the Indians for his campaign, Speaker Penpa Tsering gave a brief interview to the Hindustan Times…” What makes me feel that this is ridiculous, is that: do Indians normally vote for the speaker of the Tibetan Parliament-in-exile? I was just wondering if JN has a better and more convincing topic to share other than such nuisance! Also, he irresponsibly and yet foolishly cited a comment from an Indian paper,” …Well done Tibetan politicians in exile…continue mixing your politics with ancient religion….” Such a comment can be seen any kind of papers throughout the world! And sometimes they are irrelevant and irrational, and people regard them as trash. Interestingly, only Jamyang Norbu is so obsessed to such a comment and attached great importance to it, and has highly recommended it as a significant prophecy! Is this what he himself intending to say, but did not have the courage to bring forward or a random comedy! This is essentially attempting to murder a person with a borrowed knife! 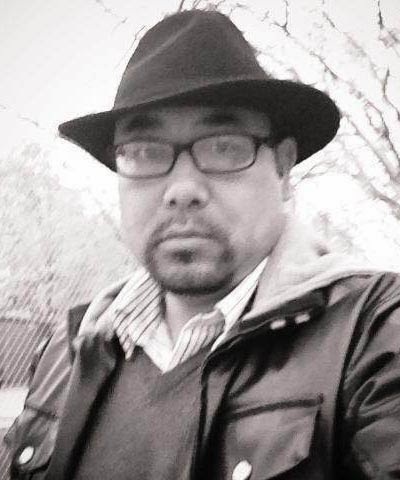 All in all, Jamyang Norbu has been fortunate to be living in a free country where he can exercise his freedom of expression, including criticizing His Holiness the Dalai Lama and the fragile exile government. Otherwise, Jamyang Norbu could have lived in China with all his blind followers then they might realize how lucky and free they are! And how life is precious for them living in the world. As a legislative assembly body of the government, though in exile, it has been deemed to legitimately represent the people of its country. And its representatives are elected by its people, but not being picked up by the chairperson of a certain party, which some tyrannical counties still do in other parts of the world. Therefore, JN’s deliberate mocking and insolence on the Exiled Parliament is thoroughly intolerable and is thus reprehensible! Ironically, being unable to see the ulterior motives hidden behind the cloud, some have even heedlessly become steadfast followers of JN. Consequently, they have attempted to dismantle the delicate mechanism of the government and the sole house in Exile, on which the 6 million Tibetans have fully placed their hope and hearts! As a government in exile, many of us are aware of how hard and challenging it is for it to take every step to face the mighty and brutal Communist government of China! Nonetheless, people like JN has conventionally made unfounded slanders on the Dalai Lama and the exiled government, which many have cherished and eulogized for its success in protecting and promoting the unique culture and tradition in the exiled society! JN, it is easy to say than do! Let’s look at how he has described those who possess a different opinion from his: “… the unstated intention was to instigate the more fanatical and uneducated elements members of exile public to take matters into their own hand…” This is how JN perceives his ordinary fellow Tibetans: “Fanatical and Uneducated”!!! He should have better called them barbarians and savage because they do not follow the guidance of famous writer Jamyang Norbu la. How could it be possible for an egotistical person like JN to guide the public? Another filthy one, perhaps the most vicious words one can use to describe the elder ones: “…crowd of old polas and molas who shuffled around the Gangchen Kyishong…” How did JN not realize that those people also exercise a form of freedom of expression, an unalienable part of democracy, which he has professed so dearly, in their own way? In the event that JN had really possessed a good and constructive intention to contribute ideas and exert efforts to consolidate the strength for our common cause, he would not have distanced himself from the true circumstance of Tibet and merely created chaos in the exiled society! Having said all this; there are still scores of blind men riding a blind horse running aimlessly in a vast desert. I want to conclude this by stating that those blind men on the blind horse are far away from the reality of the True Tibetan circumstance! NOTE-- Nathan Gyatso works for a law firm based in New York City.